There's no denying that graphics performance in current Macs isn't the best. There are always tradeoffs to make, and Apple tends to err on the side of battery life and heat management over raw performance. That led to the new MacBook Pro being equipped with the latest AMD GPUs, even if there were doubly-more-powerful NVIDIA chips available. But there's another option, at least in theory: the external GPU. Plug in an enclosure via a Thunderbolt 3 cable and voilà you've got desktop-class graphics performance for your slim MacBook. This is especially important for folks in the 3D industry who rely on NVIDIA's CUDA system — something currently unsupported in any Mac available on the market today. Why would you want an external GPU (eGPU)? The benefits of hooking up a desktop-class GPU to a MacBook cannot be understated — at least for those that need that kind of power. If you're a gamer, you'll want one for vastly-improved graphics. A 15-inch MacBook Pro can drive a pair of 5K displays, but if you try and play any graphically intense game at full resolution it'll grind to a halt. The bigger potential market is with people who need the massive power of a GPU for other tasks. Modern graphics cards excel at parallel computing — they were designed to render a huge number of assets all at once in real time for games, and that means that cards like the NVIDIA Titan Xp are equipped with a mind-boggling 3,840 processing cores. Modern computers can leverage all of that computational power as additional processing power for tasks other than putting pixels on a monitor. GPUs are used in everything from rendering video from Final Cut to 3D rendering in 3ds Max to applications in defense, medical imaging, climate study, and structural mechanics. Heck, Google even uses GPUs as processors in their servers. Sounds great. Where can I get one? Not so fast. The problem here is that Apple doesn't officially offer support for eGPUs. While Thunderbolt 3 offers an absurd 20Gbps of data throughput in each direction, and there are external enclosures capable of holding, powering, and connecting even the fancy new NVIDIA Titan Xp with its 12 teraflops of graphics performance, there's no actual support in macOS to do so. Apple fans instead can choose AMD-equipped Macs, build out a hacky external GPU for macOS (and lose graphics power in the process), or go play in another, CUDA-friendly sandbox (like Windows). Am I ever going to be able to properly use an eGPU with my Mac? We hope so. As somebody who does both video and 3D rendering on my MacBook Pro, I've been watching the development and struggles of eGPU support on macOS with great hope and frustration. Even Apple has acknowledged that there's interest — asked specifically about external GPUs, Apple senior vice president of Software Engineering Craig Federighi said, "I think they have a place." Interestingly enough, external GPU (eGPU) compatibility has been found in the latest macOS Sierra betas, though full support is still limited — the GPUs aren't yet able to send data back to the MacBook, so you'll have to run it out to an external display connected to the GPU (or hack your Mac to think an external display is connected), though this offers a significant decrease in overall power. In addition, NVIDIA just issued macOS drivers for the top-end Pascal-powered GPUs (Download here). It's an interesting move when you consider that no Mac officially supports the GPU — the cheese grater modular Mac Pro is too old, while the 2013 model has no way to swap out its graphics cards beyond the aforementioned eGPU hacks. Coupled with the news that Apple is approaching the next-generation Mac Pro from a more customizable route, NVIDIA's newfound support for macOS on their top-end GPU is encouraging. We're still a long way off from seeing whatever Apple has in the works for its Mac Pro (and certainly a few months out from proper support for eGPUs in macOS), but we could be looking at a future of top-end — and upgradeable — graphics performances for Macs. And that's something we haven't seen since 2013. Updated April 2017: NVIDIA's Pascal drivers are now available for download on the Mac, if you plan to use a Titan Xp card as an external GPU. Should you buy a 2017 Mac Pro? 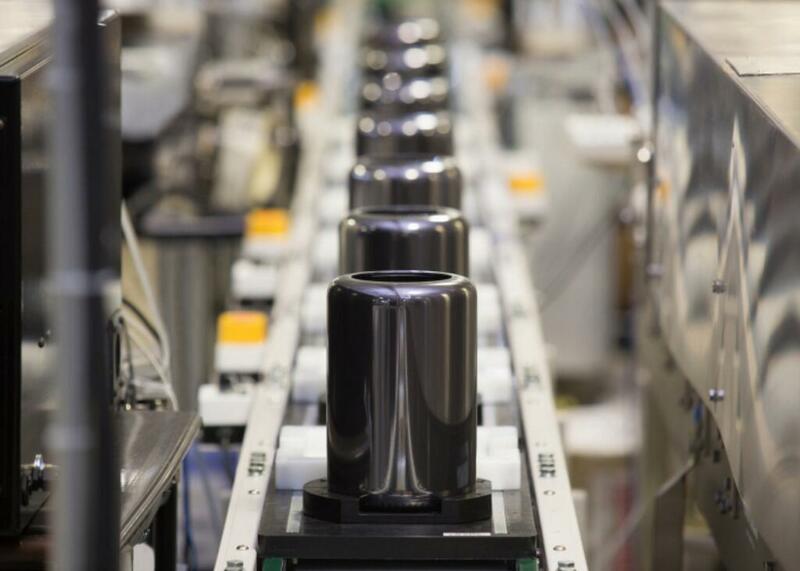 What Mac Pro configurations should you buy? What do you want to see in the new Mac Pro?